Even more than usual, the approach of a New Year tends to get me thinking about those important "Who am I, and what am I doing here?" questions. 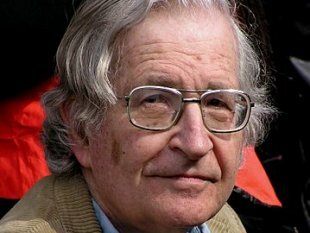 Noam Chomsky was recently interviewed on just this topic, and he was specifically asked if "he always knew what he wanted to do?" The interviewer cited philosopher Frithjof Bergmann to the effect that "most people don't know what kind of activities they really want to do." Bergmann calls that condition a "poverty of desire." Chomsky disavowed any "poverty of desire" on his part. I am still thinking about what my own response would be. Maybe I will know by tomorrow! In the meantime, I recommend the Chomsky interview.